A case has come to light from the Coombe hospital involving a woman who was told she could have not an abortion – not yet at any rate – because her unborn baby’s abnormality did not appear to fall within the definition of ‘fatal’ that is contained in the new abortion law. The reaction of pro-choice campaigners indicates they want the law to go even further than at present, even though the ink on it is barely dry. The case was mentioned in the Dail last week by Ruth Coppinger and Brid Smith in tones of outrage. How could the doctors refuse her wish? But if the baby’s condition does not fall within the definition of ‘fatal’, how could they do otherwise without breaking the law? This tragic case – and it is tragic no matter how you approach it – shows the need for a proper debate on what the ‘fatal’ in ‘fatal foetal abnormality’ means. It was never properly discussed in the run-up to the abortion referendum and it is very likely most people believe it means either that the baby has already died in the womb, or will be dead upon birth or within hours of birth. This is certainly what focus groups conducted on behalf of pro-life organisations before the referendum indicated. The media never permitted a proper discussion of the matter, and the Coombe case has certainly not led to one either. The term ‘fatal foetal abnormality’ isn’t even a medical one. Dr Peter McParland, who is the Director of Fetal Maternal Medicine at the National Maternity Hospital, said at the Citizens’ Assembly: “We do not tend to use the words fatal or lethal in our daily practice. … I don’t know what fatal is. Is it minutes?Is it fatal if the baby will die at a certain time? I don’t think that any of us know that.” The HSE prefers the term ‘life limiting condition’. The Government is happy to refer to ‘fatal foetal abnormality’, however, and the new law says that a baby has a fatal condition if it is likely to die within 28 days of birth. The doctors in the Coombe who dealt with the woman do not believe the baby will die within those 28 days. 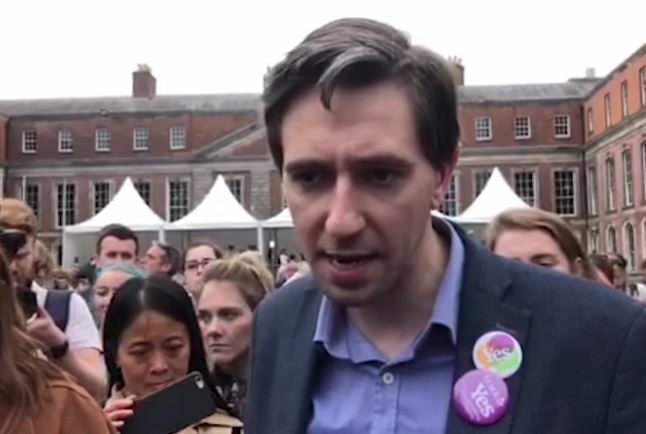 In fact, the letters from the doctors to the woman, reported in The Irish Times, says the baby has a condition known as an exomphalos, where organs develop outside the abdominal wall. Babies have a relatively high chance of having the condition rectified through surgery as this study indicates, although this depends on how severe the condition is. Where to from here? For campaigners like Deputies Coppinger and Smith, and presumably many of those who ran the repeal campaign, the answer is clear: further liberalise the law and allow abortion where a condition is not fatal, or will not be for months or even years at any rate. Either that, or permit abortion for any reason after 12 weeks as well as before. Another possible route is to find doctors willing to perform abortion in instances like this on the grounds of the mother’s mental health. This is permitted under the new law. Perhaps abortion clinics will be soon be established with doctors willing to interpret and implement the law in this manner? One way or the other, however, the new is heading for now in one direction only: towards becoming even more permissive. What does Simon Harris think?